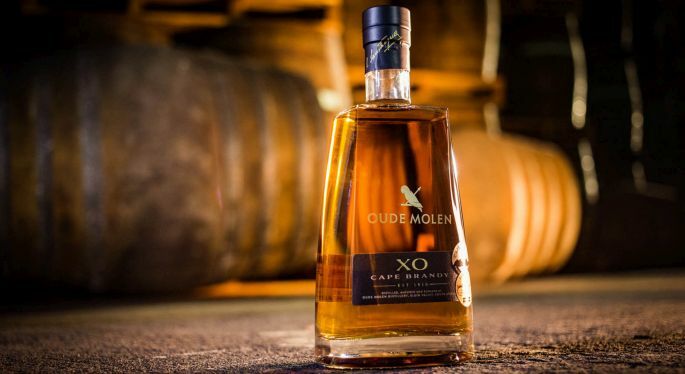 Boldly following in the footsteps of René Santhagens' famed VOV Cape Brandy, Oude Molen's XO Cape Brandy is a masterclass in brandy perfection. In much the same way that René, the father of South African brandy, believed in the wisdom of oak maturation for Cape Brandy perfection, present day Oude Molen Brandy Masters painstakingly craft the flagship in their modern Cape Brandy range, the XO. 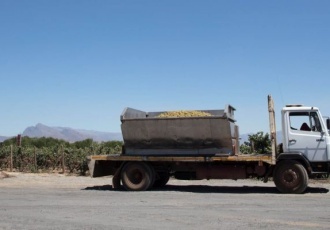 In line with recent guidelines proposed by the Cape Brandy Distillers Guild, Oude Molen XO brandy is produced form the finest stocks of Cape Brandy that have all been matured for at least 10 years in small (less than 340 litre) oak barrels. Often overlooked, the size of the barrel used to mature brandy makes a drastic difference to the end product. The reason for this being that in smaller oak vessels, more of the brandy is in direct contact with the oak wood, which means more extraction of oak character from the wood. While formal brandy legislation in South Africa only requires these barrels be used for the first 3 years of a brandy’s maturation period, Oude Molen XO does not deviate for the full term in oak. Which for the brandy that proudly flies the flagship for the distillery, means 10, 12 and 14 years inside barrels of this small size. The secret to this exceptional Cape Brandy does not only lie in this extended maturation in small oak barrels though. 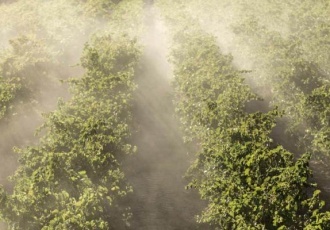 What makes it quite unlike any other is the unsurpassed selection of oak wood used in its maturation profile. An exquisite combination of American and French oak barrels throughout its aging, contribute perfectly to its depth of character, complexity and maturity. The French oak proudly adding traditional Cognac style cues to the flavour profile, spice, vanilla and a luxuriously smooth wooden backbone. The American oak by contrast, adds new age uniquety to the mix; tropical undertones of coconut and summer holidays with sweet notes of caramel and honey. The resultant sensory experience, something quite extraordinary. 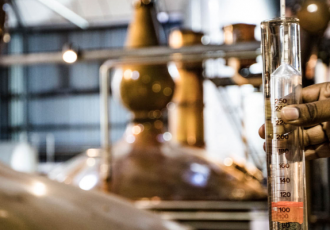 The crowning jewel for Oude Molen XO, is that the entire process from distillation to maturation, blending and bottling takes place at the distillery, and in very small batches. All Oude Molen XO bottlings are done onsite and by hand, a proud practise that retains a key focus on artisinally crafted values. 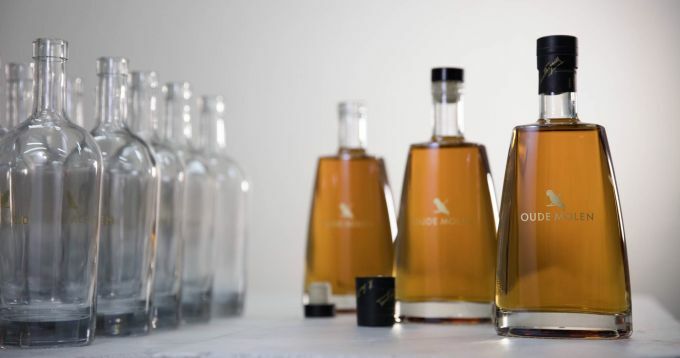 Add to the mix an imported carafe from France, superb minimalist bottle decoration and labelling, and a gift box fit for kings, and you soon get a sense that this Oude Molen XO Cape Brandy is certainly a product of greater intensity than the mere sum of its parts. Oude Molen XO Cape Brandy is quite simply the Marque of Perfection. Inside and out, what it offers the premium spirits connoisseur is what makes us connoisseurs in the first place. A deep understanding for what goes into such exceptional brandy, and more importantly, the enlightenment that comes from holding, and slowly sipping a snifter full of it.